Get off the train at the Kintetsu Nara underground station. Leave 1st or 5th exit, and walk straight to the north for about 3 minutes. 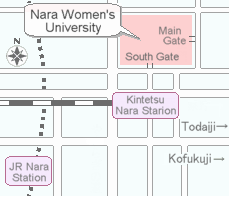 So you will get to the South Gate of Nara Women's University. 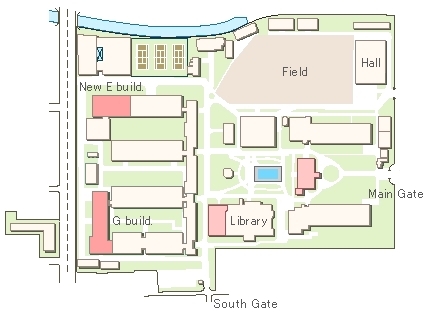 The department rooms are located in G building and New-E building.